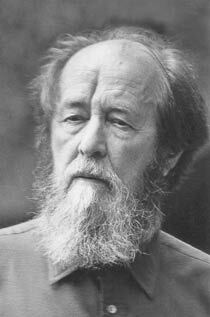 I heartily recommend The GULAG Archipelago. Its documentation of Soviet insanity in connection with the GULAG prison camp system—and of the will of those who survived (or succumbed to) it—will increase your appreciation for life and freedom. I wrote about dark things as a subject of media in a recent post. Well, this is dark. Very dark. And cynical towards those who perpetrate evil. Oh, perhaps the Russians weren’t systematically executing their prisoners in quite the same way the Germans did. But millions died nonetheless. GULAG Archipelago, as well as Solzhenitsyn’s One Day in the Life of Ivan Denisovich, not only let the reader begin to feel the despair of millions imprisoned for minor criticism of the government or for their religion of for owning property, but also the grinding hopelessness of the vast Soviet empire being slowly smothered, crushed, by its own brutal Communist yoke. You will never get out alive. If you don’t steal your neighbor’s bread you’ll be dead in a week, but you just watched your campmates carry out a vigilante-style execution against a prisoner who did just that. If you escape the walls of the camp, you have to survive undetected a thousand kilometers of barren steppe in every direction. KGB is never far behind. This entry was posted in reading and writing on August 6, 2008 by Josh Hansen.